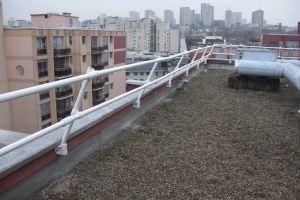 An EN 795:2012 horizontal lifeline providing fall arrest / restraint protection where guardrails are not suitable or when a virtually invisible solution is needed. 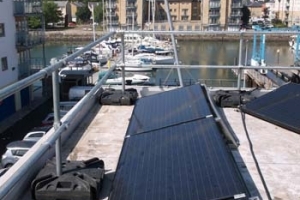 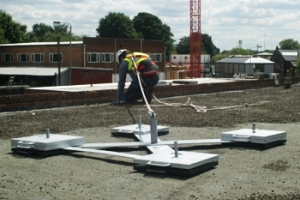 A free standing skylight fall protection system which does not penetrate the roof membrane, fits square and rectangular skylights. 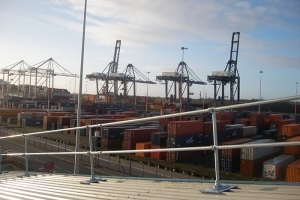 Complies to EN 14122: pt3. 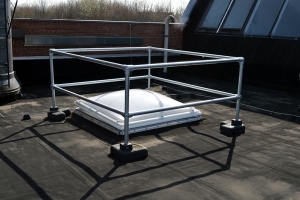 Free standing non-penetrative roof edge protection, foldable to protect buildings aesthetics, can be easily re-erected. 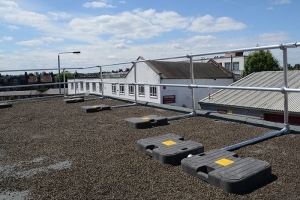 Non-penetrative roof edge guardrail without counterweights, complies to EN13374:2013 Class A. 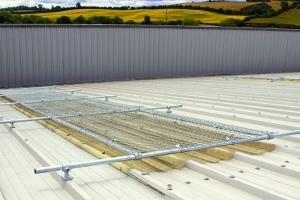 Ideal for roofs with limited space. 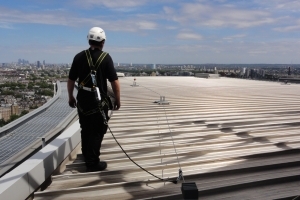 Aluminium free standing roof edge protection. 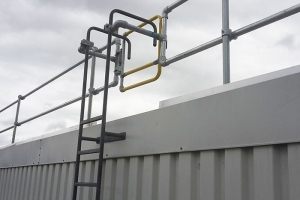 The system complies with EN ISO 14122-3 and EN 13374. 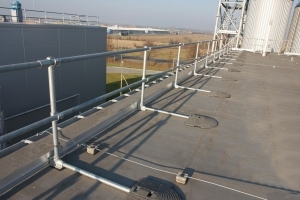 Permanently fixed guardrail either side of an existing fixed ladder with a self-closing swing gate. 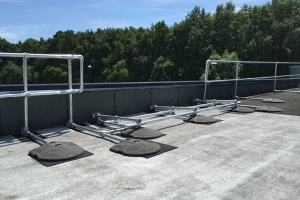 A range of structurally mounted, pre-designed uprights for roof edge protection barriers. 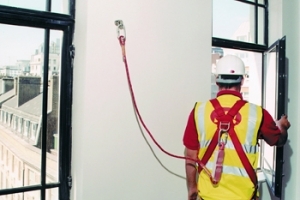 A comprehensive range of Class A1 EN 795 fixed and removable safety anchors, featuring KEYANKA and RINGANKA. 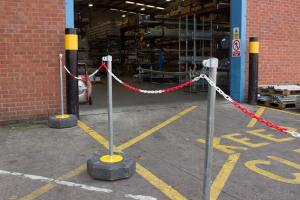 A free standing and modular demarcation system ideal for temporary, interior and exterior situations.